Having grown up in Catholic school, I have strong memories of blurred, black blobs on my forehead kicking off the 40 days of meatless Fridays. If you give up poultry, pork, lamb, and beef on Fridays during Lent but you’re still paleo, I’ve got you covered! I’ve included 25 awesome paleo recipes that are totally Lent-approved. 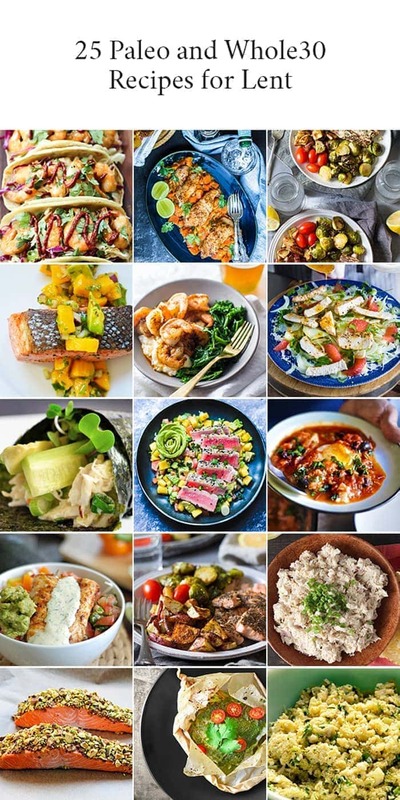 Almost all are Whole30 recipes, too, since I know many of you are taking on the elimination diet for Lent, too. Dig in, my friends!